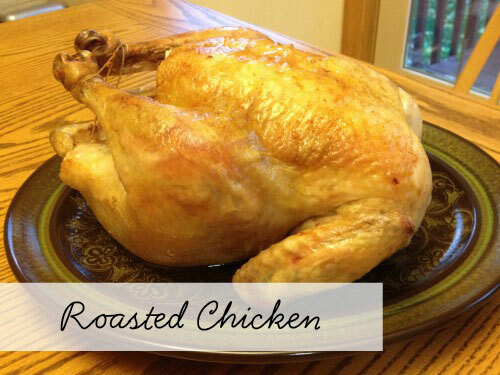 I love Sunday style dinners and a roast chicken is amazingly easy to do and it leaves options for great leftover meals. I say spend the extra money and buy an organic, pastured chicken and make stock to really stretch your dollar. -Rinse out the inside of the chicken (I know recent convention says not to do this, but I just have to) and then pat dry. -Place 1/2 lemon and bay leaf inside the body cavity. -Brush melted butter or olive oil over the chicken. What is something we could do as a family to make the world a little better? My husband is the one who introduced me to the concept of meat thermometer and I shake my head at how many years I went cooking without one. It’s a less than $10 purchase that keeps my pork from being overdone and my fears of salmonella at bay. Every well stocked kitchen needs one.